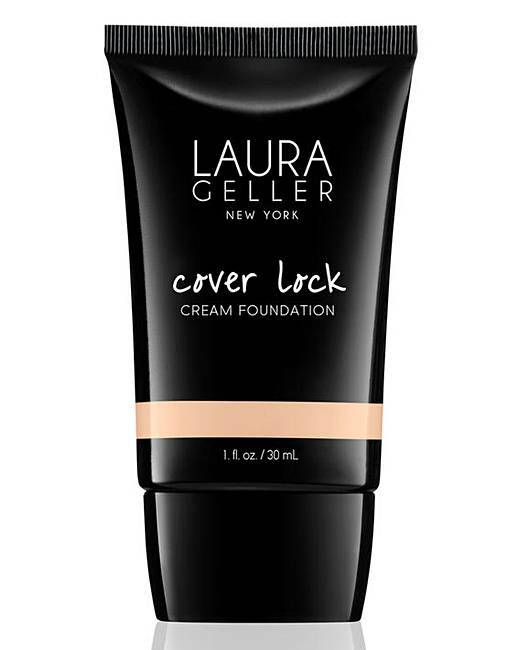 Laura Geller Cover Lock Cream Foundation. Create the smooth, even complexion you crave with true full coverage. This vitamin-enriched formula effortlessly blends away discoloration, scars, even tattoos - while locking out aging pollutants and environmental stressors for all-day, flawless coverage. Shade: Light - If you are on the lighter end of the medium spectrum. Medium is just a touch too dark for you. Apply to bare face, or over your favorite primer, concentrating on areas of imperfection.